A good ski tune can shave three seconds off your race time. That’s an eternity in the gates. Or it can make you fall in love all over again, with your skis – that is. It’s all a matter of one degree. Its all about the ski tuning machine and a formula for success. Don’t try this at home, as the cliché goes, put the hand file down. A professional machine finish is always better, and more consistent than any hand tune. Consistency is important in ski tuning. On that note, skis do not need a different tune for different abilities or variable conditions. A quality tune is good for all abilities in all conditions; the only thing you might change is your wax to suit the particular snow du jour. A proper tune results from applying the factory formula, quality machinery, with a well-trained, skilled technician at the controls. Its all about the degrees on your skis. Ski tuners have bevel meter devices to hone in the necessary degrees and angles on the machinery. But any ski tuner will tell you that stone grinding is a finesse issue, so experience is key. Finally, after a stone grind, the ski base should feel smooth. If it feels rough, the ski will not turn well. Not all skis are created the same. Shaped skis, rocker and reverse camber have come on strong in the marketplace. But not all ski shop tuning, and technician training, has not kept up with the technology. You have made a significant investment in your shaped skis. 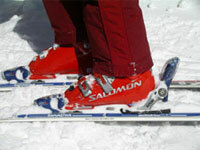 Now you must make sure the ski is maintained to perform as it was originally intended. Don’t tune brand new skis. Gone are the days when you needed to have your brand new skis “tuned-up.” Skis are now delivered “factory tuned” allowing you to rock right out of the box. If you have had your shaped skis freshly tuned, and they feel different – not quite right – then you need to search out a better tune. To find the best tune, ask your local ski shop tuner about his or her technique and what formula is used for the perfect slip to grip. You will impress them with your sharp lingo, and hopefully get a precise tune. 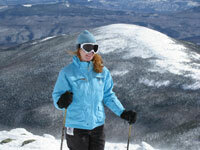 Skiers often gets their first pair of new skis and find their turning abilities to be revolutionized. Flash-forward to that same skier months later, you has reached a plateau on those life-altering skis. The turns are not as dramatic, the carve is just not as sharp. What happened? You’ve been dutifully out on the slope, tipping your skis into the turn just so, but just can’t seem to find that sweet spot anymore. You even had your skis tuned and sharpened. So what’s the deal? Ah there’s the rub, or the grind more accurately, so says the guru of ski tuning. “The quality of your ski tune determines whether you love or hate the ski you are on,” say Mike DeSantis of Precision Tuning Center. DeSantis was a World Cup ski tuner; his specially tuned skis have won numerous World Cups. 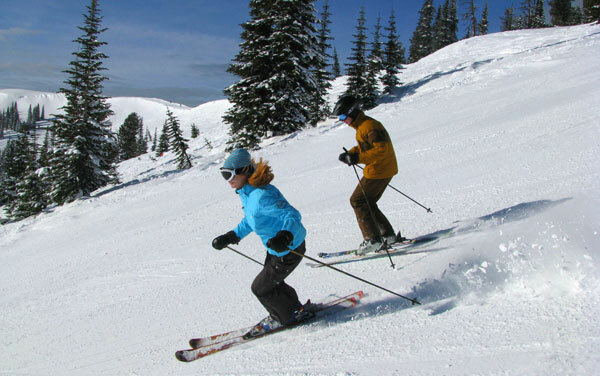 Recreational skiers should tune their skis professionally, sharpen and wax, about every 8-10 full days of skiing. DeSantis says that in a World Cup downhill race 50% of the performance comes from the athlete, 50% comes from the equipment. So what does World Cup ski tuning have to do with us weekend warriors who just want our edges to grab on the snow, and more importantly bite into the ice, and lay down a nice carve? The one-degree recipe sounds simple enough, for tech talk. But it will prepare you to converse knowledgeably with your ski shop tuner.